Small business owners should invest marketing budgets on campaigns that clearly answer questions for prospects with urgent problems. January 27, 2019 by Joe Taylor Jr.
Small business owners ask me how long I’ve been thinking about the kind of work our team does. I’m not necessarily nostalgic for what the internet was before we stopped capitalizing it, but I recognize that the internet goes through a wholesale change every 5-7 years that forces us to think about new strategies and tactics. This is going to be one of those years, because our audiences don’t ask questions the same way on the internet anymore. Back in 1992, the first time I published text to a Gopher site, all I wanted to do was provide supplemental information for the radio station promotions I was producing. By the time I was publishing material inside AOL’s walled garden in 1996, that company had launched its campaign to blanket Earth in free floppy discs. In both cases, I had small business advertisers counting on me to get more customers through their doors. At that point, you still needed some outside information—usually advertising, sometimes press—to get audiences to venture onto the Web. Before long, Yahoo! got traction with their massive directory and Excite started getting a mainstream audience excited about search engines. The Organic Web, as I like to call it, rewarded raw information—but didn’t lend itself well to the kind of promotion and marketing efforts that small business owners need to get their companies in front of new customers. After all, people didn’t come to Yahoo! or Excite to get questions answered. They came to wander around, to discover, and to get lost in whatever cool stuff they could find online. 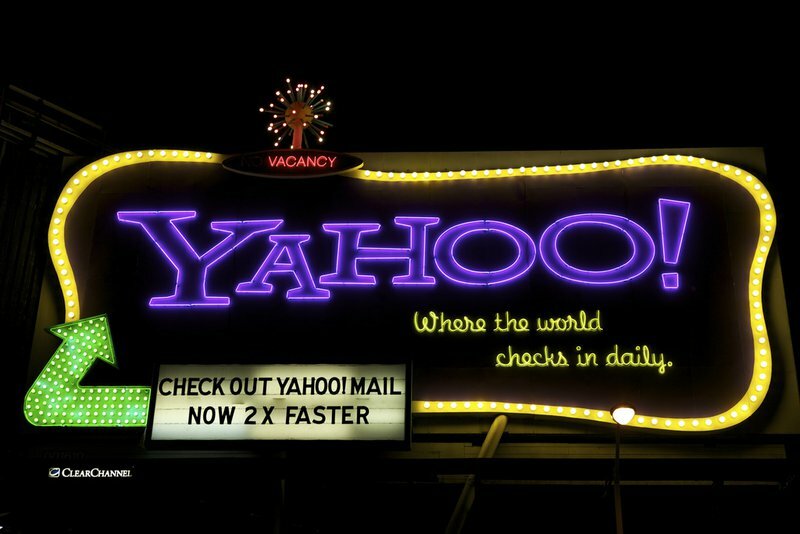 The legendary Yahoo! billboard. Photo by Scott Schiller under Creative Commons license. Let’s face it. The Organic Web never really cared about small business, anyway. And then, right at the end of the 1990s, Google happened. For the first time, we enjoyed a small business marketer’s dream: a database of intentions that could elicit desire and eliminate your company’s need to build top-of-mind awareness. Disruption happened because you didn’t need to build your brand in a prospect’s mind until the exact moment they’re typing your product or service into a search bar. With one foot in academic discipline, the original Google algorithm only respected your work if other people did. And the measure of that respect, the backlink, became serious currency at the turn of the century. Back then, you could stuff a bunch of links into your web pages, and folks who ran the pages you linked to would usually reciprocate. You’d earn a respectable share of the traffic in your market. What comes next for your business (and for our whole marketing ecosystem) more closely resembles the world of media and influence of the 1970s and 1980s. A few years ago, every online marketing expert would have dumped all over the basic concepts I’m about to share with you. Today, learning from the past is the only way your business will survive what’s about to happen. There’s no more neutral turf. Two decades of cold war tactics among search engine optimization practitioners have taken one assumption for granted—that Google, Yahoo, and Bing would stay on the sidelines as relatively neutral arbiters of organic search results. There’s just too much money in the game to keep players like those off the field. Focusing just on Google, since it dominates the search engine market, you can see a clear trend toward keeping the most valuable screen real estate for itself. Thinkpieces suggest an antitrust action might loom on the horizon, but I wouldn’t hold my breath. And it’s not clear that breaking a company like Google into smaller chunks would change things very much. To keep your small business competitive, you can’t just count on organic search engine results as the only source of prospects anymore. If most of your small business competitors focus on the core of your audience who already know they’ve got a problem worth solving, you’re going to skirmish over “organic” search engine results. 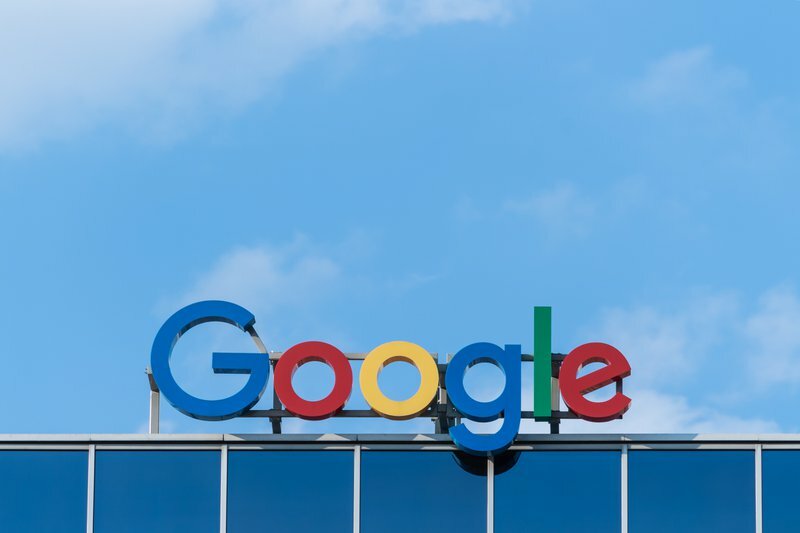 However, Google’s keeping more and more of their prime space for ads, sponsored product listings, and services—meaning you’ve really got to consider paid search listings if you want to be competitive in your market. Yet, many consumers don’t just accept paid search listings at face value. You’ll still need a presence in organic search results—but you shouldn’t just depend on your own website to do that job for you. Earned media includes links from websites with significantly higher quality scores than you might ever achieve on your own. Review websites, neighborhood directories, and journalistic sites should all triangulate a specific message about how your small business relates to the keyword your prospect just typed. That’s really where your owned media—your company website, social media handles, and managed listings pages—completes the circle. You’ve paid money to get an ad in front of a prospect, and you’ve invested resources to ensure that trusted neutral parties report on your service, your quality, and your reliability. Your website, especially, has to do the heavy lifting of transitioning a casual browser into someone who’ll visit again and again. Whether you’re doing that with old-school permission marketing or new-school retargeting, your company’s website is the best-equipped tool for that job. Here’s the good news: in 2019, we’re challenging our clients to focus on two specific owned media tactics that can pull more audience members from search results pages and convert them into repeat visitors. As Google and Bing gobble up more screen space for their own purposes, there’s one interesting wrinkle that offers small business owners an unexpected leg up—but it means thinking a little differently about how you structure your website, and your content. Google’s been placing “answer boxes” at the top of many results pages, especially when a user types in a very specific question. There may not be one concrete formula for guaranteeing your content will be selected for a Google Answer, but there are some best practices. First, write blogs and content pages that answer frequently asked questions. Format the pages with bullet points or “how to” structure as often as possible. Link to credible, relevant sites. And finally, use structured data such as graphs or charts when it naturally fits. You’re not only going to give your content a potential boost, you’re preparing for a not-too-distant future when more of these questions get answered via voice prompts, instead of through a screen-based user interface. When we walk our clients through a Brand Recharge program, we investigate where their communications land on a customer’s journey. There are probably thousands of versions of this “buyer map,” but we like to use a streamlined, five-phase approach. Large brands can afford to spend lots of resources building an audience of folks who aren’t even aware they have a problem that needs solving. That’s where you’ll see familiar names on billboards, on the radio, or slapped on the side of a sports area. Those brand names become mantras your subconscious will chant until you need one of the services they provide. Example: Suddenly buying a house? The bank that bought the naming rights to your town’s entertainment complex might be the first place you turn for a mortgage. Moving a prospect from Phase One to Phase Two requires long-term education and awareness. It might mean a real estate agent sends a newsletter every Wednesday for a year before getting a call from a prospective seller. It’s a long game that rewards very patient players. Your faucet leaks. Your kid just got an F on a mid-term test. The wheels just fell off your car. In each of these examples, you suddenly know you’ve got a problem. You could also have just realized the shiny, new car on television makes you feel that you deserve a new set of wheels. Or that you really should take that trip to the Bahamas. Or buy some pork instead of beef. Somehow, you’d been surviving this whole time without realizing that problem. Now you know it, you can’t get it out of your head. Sometimes the solution’s obvious. You need a plumber to fix the pipe. Your kid needs a tutor to bump up their grades. Your car needs new wheels, or you just need a new car. In other cases, the solution’s not always clear. Your small business marketing campaign should help shape the solution that your prospect considers. If you can start to define your answer as the ideal solution to your prospect’s problem, you can convert that attention into action. In your owned media, this means leveraging tactics like Google’s answer boxes. What’s the question that you’re the best answer to? What do your customers get from the way your small business addresses their problem? In your earned media, this means executing public relations campaigns so you’re a quoted source when journalists set out to answer the same question for their readers. In your paid media, this means targeting just the phrases that include those specific questions, in only the geographic markets where you’re prepared to do your best work. Phase Three is the portion of the journey that we often tell new clients to spend the most time focusing on. You don’t have to do the heavy lifting of convincing a prospect that they have a problem, and you can lean on the work that your larger competitors have done to frame your approach as the right solution. You just have to win the head-to-head battle for the hearts and minds of the customers who are primed to hire you right now. This is where you bring it home. Now they know your name, and now it’s time to ask for the sale. In our Brand Recharge program, this means understanding who your competitors really are and confidently describing your competitive advantage. In our Website Recharge program, it means ensuring that your owned media platforms are ready to book that business from any device your customers want to use. Never just stop at the first sale. Your after-sale plan shouldn’t just involve upselling opportunities. Think about the cadence at which your customer experiences the same problem. Brainstorm other problems you can solve for the same customers, especially if they’re even larger in scope. You can shepherd an existing customer through an adjacent journey just by relying on your owned media platforms, especially e-mail and phone outreach. Executive Summary: Small business owners should invest marketing budgets on campaigns that clearly answer questions for prospects with real problems. What’s the biggest question you think your prospects ask when they encounter the problem you want to solve for them. Assume they don’t know your name, so it doesn’t matter whether you even rank or advertise against your own brand. Assume they don’t know the jargon your peers use to describe what you do. Just start with the question. Then answer it, in clear language. Now, answer it again and again on a modern website that works on any device. Answer it by diving into conversations on social media channels where you know your audience already hangs out. Answer it for journalists and influencers who champion your prospects’ best interests. Our 2820 Press team develops small business marketing and communications programs for companies in media, technology, retail, and professional services. We’re opening up our calendar for free consultations. Sign up now to bounce ideas around with me and with members of our strategy team, so we can help you reveal the best opportunities for you to focus your resources this year.